Are you looking for a cheese slicer? This here is your definitive guide to buying the best cheese slicer out there. 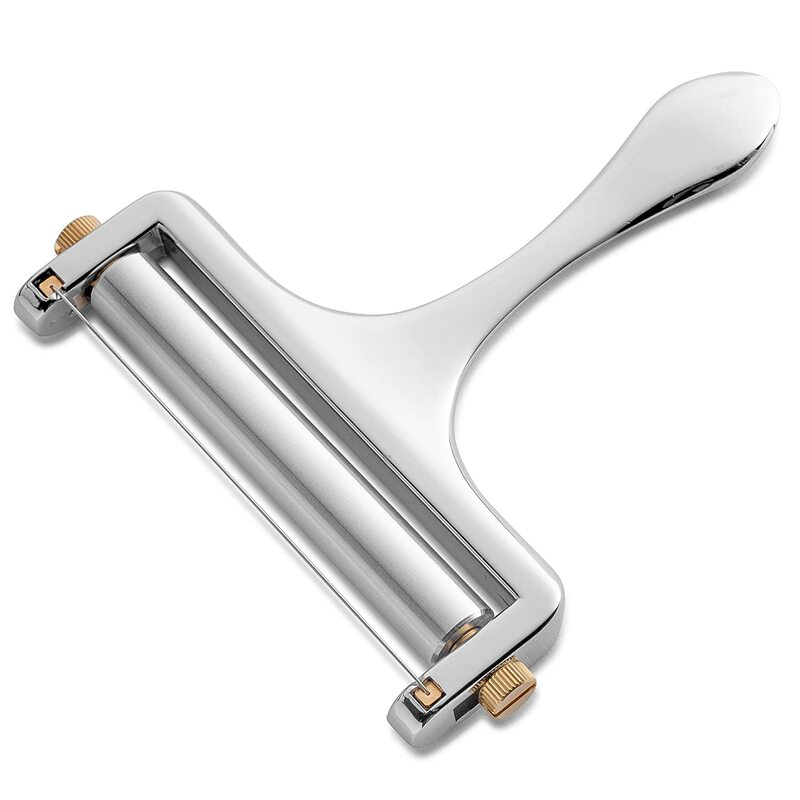 Who doesn’t like cheese and what is the best cheese slicer in the market today? 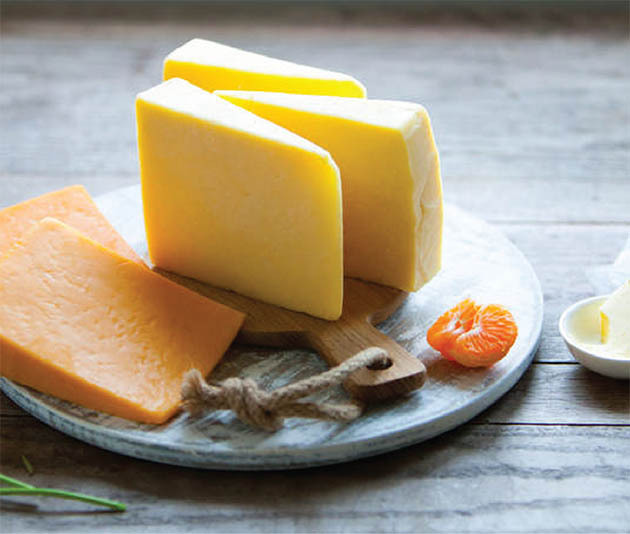 Cheese is delicious, practical, healthy and a fantastic way to improve any dinner or snack; and while most people are happy eating melted cheese, eating cold or room temperature cheese slices straight from the block is a fantastic experience by itself. Not only that, but buying cheese in block gives you not only a new way of enjoying cheese but it can also help you save money, particularly if you’re a self-proclaimed cheese lover. 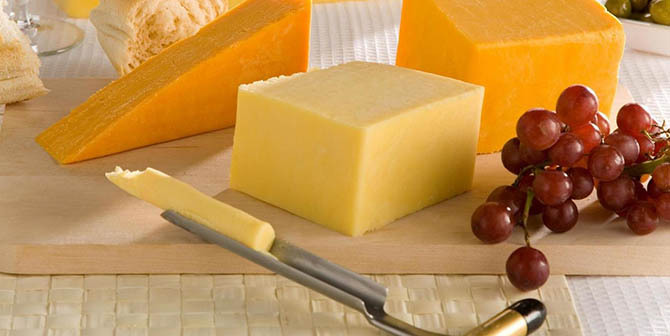 Buying cheese by the block is almost always cheaper than buying sliced or shredded cheese. Because convenience is more expensive. Look at it this way. Retailers know that people nowadays have less time and energy to do certain tasks and that buyers are always looking for the most convenient option, both in time and money. Don’t believe us? Just compare prices next time you’re at the supermarket. The difference in price between 1 cup of shredded cheese and 1 cup of block cheese can be anything between 50 cents to 1 dollar. Assuming you go through 5 cups of cheese per week, this means saving anything between $2.50 and $5. Assuming you keep that up for an entire year, your savings could be anything between $130 and $260, more than enough money to get yourself a quality cheese grater and a shredder. But what if you’re not a cheese lover? Wouldn’t your cheese block go bad before you finish it, thus, making you lose money? Can You Store Block Cheese? 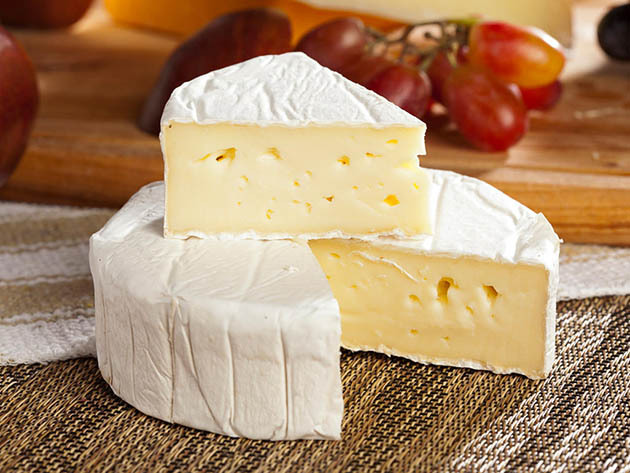 Hard cheese is known for its intense and delicious flavor, and this flavor can only be preserved by letting it breathe. This is why you shouldn’t use plastic wrap. At least not directly. Use cheese bags or cheese paper if available, but if you don’t have those around, use wax or parchment paper instead. The goal is to create a barrier between the cheese (be it block or sliced) and the plastic bag. Now, all you need to do is store it in your fridge and replace the paper every time you unwrap your cheese. If you’re planning on freezing it, it’s better to portion the cheese before you freeze it. This way you won’t risk bacteria growing in your cheese by freezing it and thawing it over and over again. Soft cheese is considerably harder to keep in the fridge for long, which is why you should buy this particular kind of cheese only when you’re going to use it. Keeping it in the original package is a good way of ensuring their longevity, but another good option is to take your soft cheeses out of the brining solution and wrap them in plastic, which needs to be replaced every time you take out the cheese. 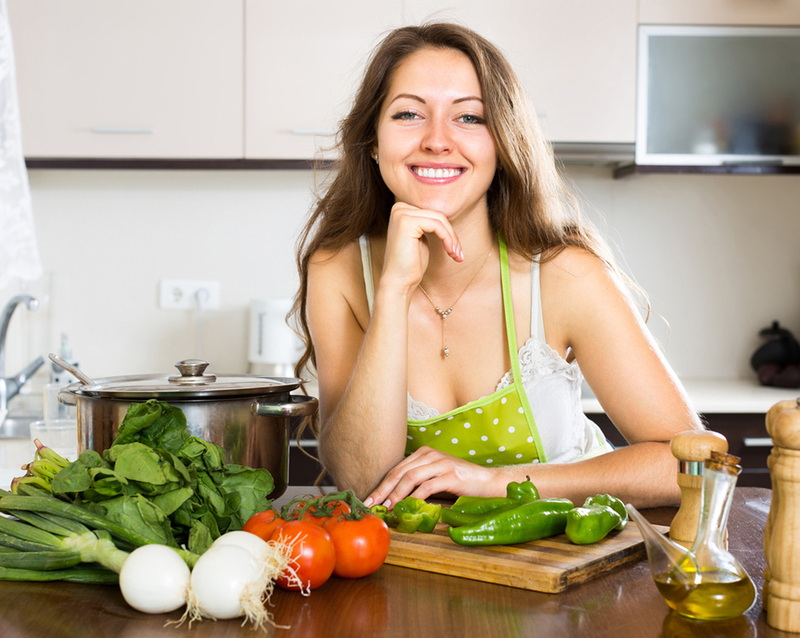 Some people believe that changing the brining solution every few days will make it last longer but this isn’t necessary, unless the brining solution has been contaminated. 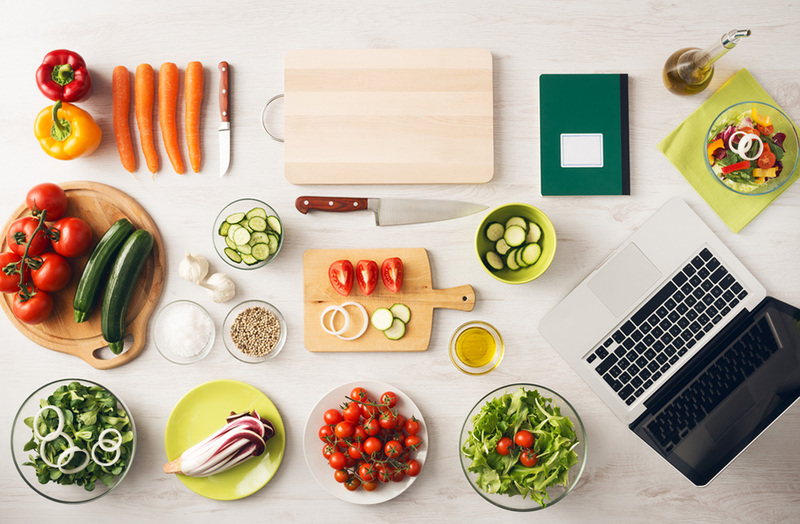 As you can see, block cheese can save you a lot of money and it can stay in your fridge for a while but in order to get the most out of them you need to own the right utensils, such as a grater and a cheese slicer. Graters can have a lot of uses and they deserve their own section which is why this time we’re talking about cheese slicers. Cheese slicers are kitchen utensils created specifically to slice cheese. 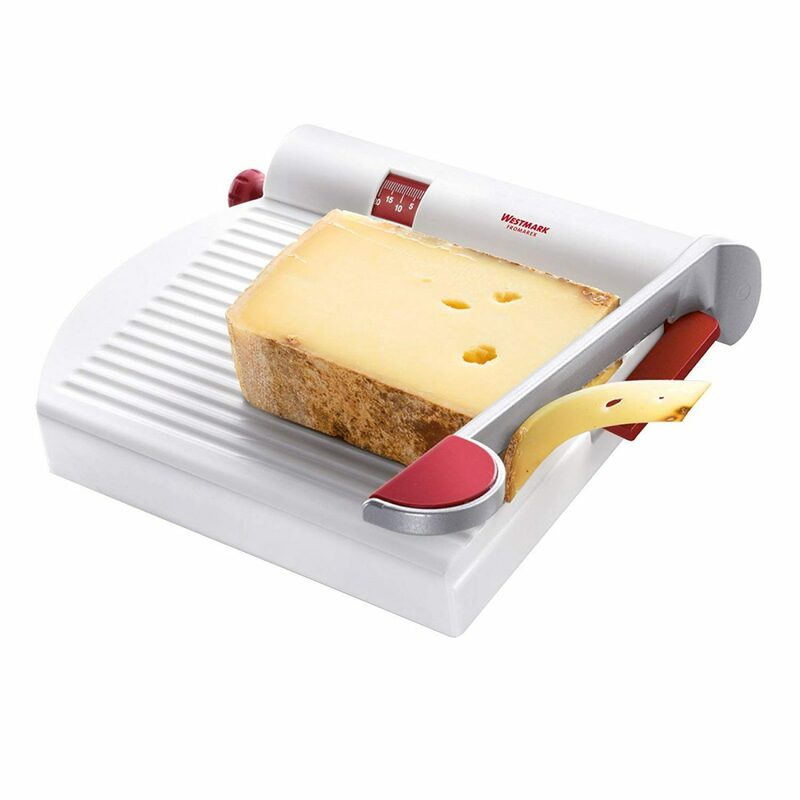 Its design, considerably safer and easier to use that knives, allows you to control the thickness of the cuts and gives you the tools you need to slice without crumbling or crushing the cheese. It can be hard to choose your very first cheese slicer, which is why we’ve reviewed several in order to give you a rundown of the best 5 cheese slicers in the market. 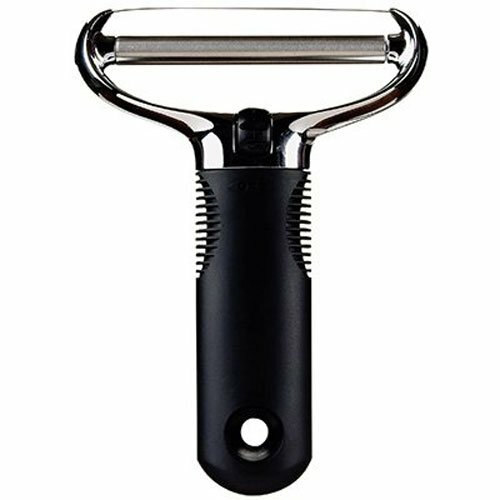 If you’re just curious about cheese slicers and you want to buy an affordable one in order to see what all the rage about, this is an excellent option. Its heavy duty and ergonomic handle allows you not only to use it without any problems but also to adjust it to better fit the thickness and hardness of any cheese you cut, though you’ll need a small screwdriver in order to adjust these settings. A heavy duty zinc allow was used to create the handle and the wire, which comes with a replacement, is made entirely out of stainless steel so you know you have a sturdy product the moment you pull it out of the box. Since this cheese slicer is meant to be a “one size fits all” kind of solution, it can be a little challenging to use in large blocks of cheese and, in fact, you’ll have to try different hand positions in order to figure out what works the best for you. These cheese works well with soft and hard cheese, but you’re going to have to put some strength on slicing the later, as the wire, though resistant, has some trouble cutting through particularly hard kinds of cheese. This cheese slicer requires some assembly (the wire doesn’t come perfectly attached) but you’ll find it’ll still work wonders for you. If what you’re looking for is a cheese slicer that’s both functional and fashionable, this is the cheese slicer for you. This cheese slicer combines a marble board with a wire, resulting on a beautiful yet functional utensil that you’ll be happy to display on the dinner table. This design also makes it very easy to clean, as a soft wet cloth will take care of everything. Despite the fact that it’s made out of marble, and that it comes with two replacement wires, this is a very affordable cheese slicer so it’s great for those looking to step up their cheese slicer game or those wanting to impress their guests by showing off a fancy cheese cutter. This isn’t a particularly large product, so it won’t work well with large blocks of cheese unless you cut those first. It also comes in black and green so you can ensure it goes well with your kitchen and dinner table and has non-slip rubber feet to ensure you don’t have any accidents when cutting. ​Small, doesn’t work with large cheese blocks. If you’re all about function and not so much about looks, this is the cheese slicer you need. This cheese slicer is all about the function, thanks to its thick, ergonomical handle and stainless steel blade, perfect so slice hard and semi hard cheese as well as to slice zucchini, sausages, peppers, cucumbers, and radishes. It also works very well with soft cheese and works wonders with hard cheese, letting you slice through even the hardest cheeses with ease, in just a matter of seconds. The blade of this slicer is very sharp, so you should be careful when hand washing it. The best part? It is backed by a 5 year warranty! 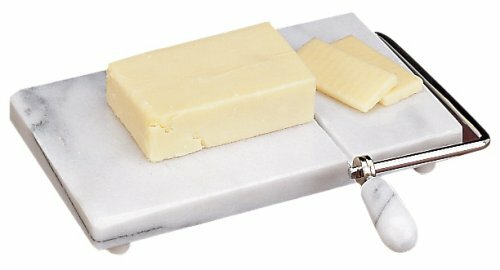 If you like the idea of cutting board / cheese slicer combo but dislike the thought of using a material as easily breakable as marble, you should check out this cheese slicer butcher block. This beautiful cheese slicer, made with end grain beechwood, comes with a stainless steel wire and lifetime warranty, which talks a lot about the confidence the manufacturers have on their product. 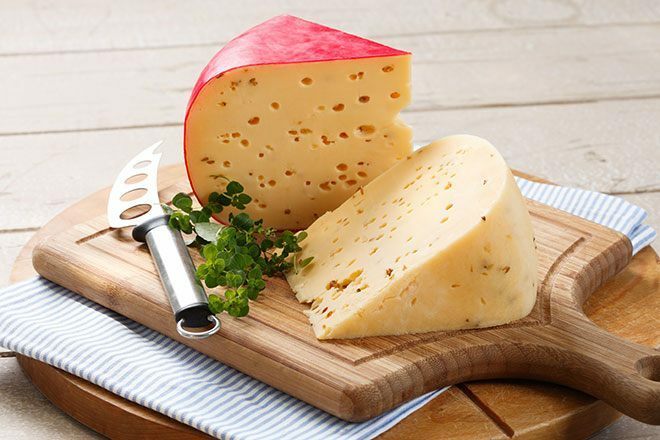 The board is sturdy, easy to clean and gorgeous to look at so you’ll be able to show off this cheese cutter both in your kitchen and your dining room. The cutting wire, which can be used to slice both soft and hard cheeses, is so strong that many people use this cheese cutter to slice soap as well. That said, the cutting wire doesn’t align perfectly with the groove, so you’re going to have to do some adjustments before using this slicer. Since it’s wood, this board isn’t dishwasher safe and, in fact, you need to take some precautions when washing it, such as never leaving it to soak and being careful about removing as much water as possible before leaving it to air dry. “Good Grips” makes good to their name with this amazing cheese cutter, which is easy to hold and use, no matter if you’re a man or a woman. The handle is rubberized and shaped in a way that will allow you to cut even through the most stubborn cheeses with minimal impact on your wrist. The wire, which is adjustable, can be removed and replaced with one of the steel wires included, and while said wire works wonders when cutting cheese, it’s perfectly safe on your hands. This cheese slicer is also dishwasher safe, though you’ll need to do some adjustments to ensure the wash process doesn’t damage it. This slicer is also quite wide, wider than most other models which allows you not only to have a great grip on it but also to slice through large cheese blocks, though if the blog is particularly large you might need more than a couple passes. It’s not uncommon having to replace the wire. ​Has a bit of a learning curve. What's The Best Cheese Slicer? Now you know not only why block cheese is more convenient (as well as more affordable) but you also know what to look for in a cheese slicer and what are the best cheese slicers out there. All you need to do now is select one, get some block cheese and start enjoying! Easy to clean even like the cutting board for other things like tomato and cucumbers and etc. Once you have your cheese cutter, don’t forget to come back and leave a comment sharing your experiences with us.